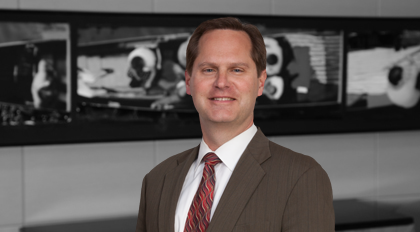 Scott Tyler has spent more than two decades successfully representing some of the nation’s largest financial services, manufacturing, real estate, and other companies in a range of complex disputes. He offers a practical approach to achieve balance between business considerations and zealous advocacy. Rather than indiscriminately turning over every stone, Scott focuses his time—and his clients’ resources—on a more strategic path, mapping out a case step by step, from pleadings to motions, discovery, and on to trial. He is prepared to seek a prompt but favorable compromise or to fight aggressively for his clients’ interests as needed. He guides other attorneys using the same thoughtful yet effective approach. Scott served as co-team leader of the Litigation Practice Group for nearly a decade, and Scott also has served on the firm’s management committee. Scott has substantial experience in real estate litigation, representing clients regarding buyer-seller agreements, commercial leases, easements, commission claims, and construction projects. In particular, where significant commercial leases are involved, he has obtained favorable outcomes for not only landlords, but also for tenants, by seeking to ensure that lease terms are fully enforced consistent with party intent and applicable law. Scott has also resolved multimillion-dollar commercial construction disputes before and after litigation has been filed. Representing owners, sureties, and contractors in cases involving storage and distribution facilities, corporate headquarters, manufacturing and industrial plants, hotels, and more, he has secured positive results in settlement, arbitration, on motion practice, and at trial. Implementing his practical litigation experience, he also protects his clients’ interests before issues arise by negotiating and drafting construction contracts with an eye to successful project completion including efficient resolution of claims. Included in Business North Carolina's Legal Elite list, 2004 - 2005, 2009 for Construction Law; 2013-2014, 2017 for Litigation. Selected for inclusion to the North Carolina Super Lawyers list in 2006-2019. His primary area of practice is General Litigation. Recognized in the 2010-2019 editions of Benchmark Litigation as a "Future Star"
Monsanto Company v. ARE-108 Alexander Road LLC, 632 Fed. Appx. 733 (4th Cir. 2015). Obtained summary judgment and damages for tenant in commercial lease dispute over rent abatement. Taylor v. Bank of Granite, 2014 N.C. App. LEXIS 645 (2014). Obtained dismissal of all claims asserted by commercial borrower in lender liability dispute. Bank of America v. AFH LLC et al., American Arbitration Association (2012). Obtained $160 million damages award in favor of bank and finding of no liability on $354 million in counterclaims following week-long arbitration hearing in dispute over commercial loans and valuation of real estate collateral. Piedmont Natural Gas Co., Inc. v. Cannon Sline Industrial, Inc., American Arbitration Association (2011). Obtained significant award for client in dispute over termination of industrial painting contract. Geo Plastics v. Beacon Dev. Co., 434 Fed. Appx. 256 (4th Cir. 2011). Obtained summary judgment for real estate developer sued by potential purchaser of commercial property. Nucor Corporation v. J. Baker & Associates (E.D. Ark. 2009). Obtained jury verdict of no liability on $6 million counterclaim and third-party claim in commercial contract dispute. Brockland et al. v. Bank of Granite, N.C. Superior Court (2007). Obtained judgment for bank and bank president in multi-million dollar lender liability action. Warner Electric, LLC v. Olds Properties Corp. American Arbitration Association (2006). Obtained significant award for client in commercial lease dispute. Eric Riebling Co. v. Martin Woodworking Machines, International Court of Arbitration (2004). Limited claimant to just six percent of damages sought in arbitration proceeding regarding agreement for distribution of machinery. Kismet Arrowood, LLC v. Reliance Insurance Company, N.C. Superior Court (2004). Obtained summary judgment significantly limiting scope of surety’s liability on performance bond. Nucor Steel Arkansas v. Belgian Scrap Terminal NV, American Arbitration Association (2003). Obtained significant award in international arbitration proceeding regarding steel scrap supply contracts. Horack v. Southern Real Estate, 563 S.E.2d 47 (2002). Obtained directed verdict wage & hour act and unfair trade practices claims and jury verdict on fraud claim in real estate brokerage dispute.